Bev’s Country Cottage has long been a trusted spot on the Internet for charity knitting. 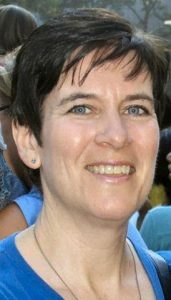 Since 2002, Bev Qualheim has offered tons of free knitting and crochet patterns on her website, along with many crafting charities and helpful tips. I’ve been pleased to have her patterns and insight appear in many Knitting for Charity articles. We’ve featured her in Free Knitting Patterns for Barbie Dolls, Adorable Free Knitting Patterns for Baby Cardigans, and Knitting Charities and Patterns for Animals, Both Pets and Wildlife, among others. I’ve also featured the Kaiizen Foundation knitting project she hosts at Bev’s Country Cottage and procured her expert tips for knitting for elderly folks. But what I had never actually done was taken a little time to get to know the history behind Bev’s Country Cottage, as well as the person behind it. 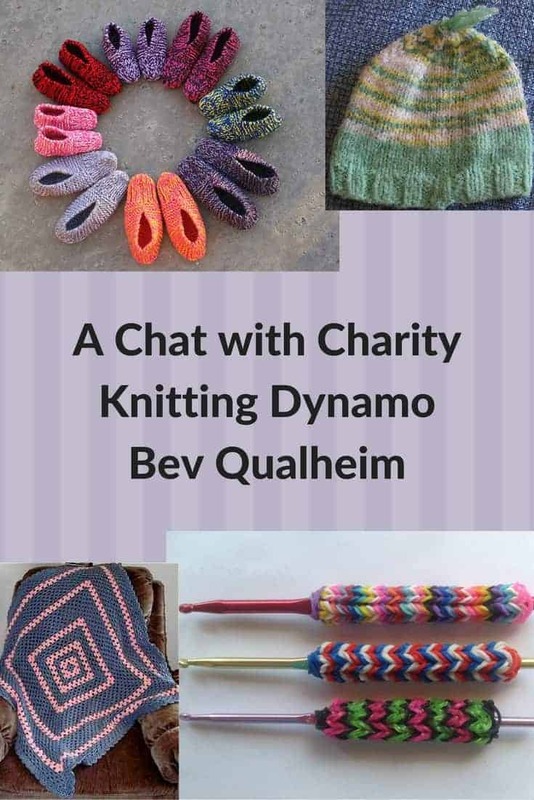 So I peppered Bev with a few probing questions like the knitting journalist I am (haha! ), and she was kind enough to respond. So if you’d like to know a bit more about Bev Qualheim and Bev’s Country Cottage, read on! Nicole: When did you start Bev’s Country Cottage, and what led you to start it? Bev: We need to head all the way back to the late 1980s to when I had a small-press newsletter that I typed up on an old typewriter in my kitchen. It had 2 names at various times… started out as Families Together, and then became Country Cottage Pen Pals. It had some old knitting and crocheting patterns, recipes, pen pals, ideas for families to save money, small ads (for which I had bartered) and so forth. Enter the 2nd stage: we got a computer in 1996 and I did a search for OSMONDS, as I have been a fan forever. Found their website Osmond.net and gave them some family ideas to use. Within weeks they asked me to manage their thefamily.com pages and I had my own “pages” called “The Country Cottage”. It had knitting, crocheting, recipes, family ideas, etc. Sound familiar? Eventually, I went off on my own and started up Bev’s Country Cottage in 2002. 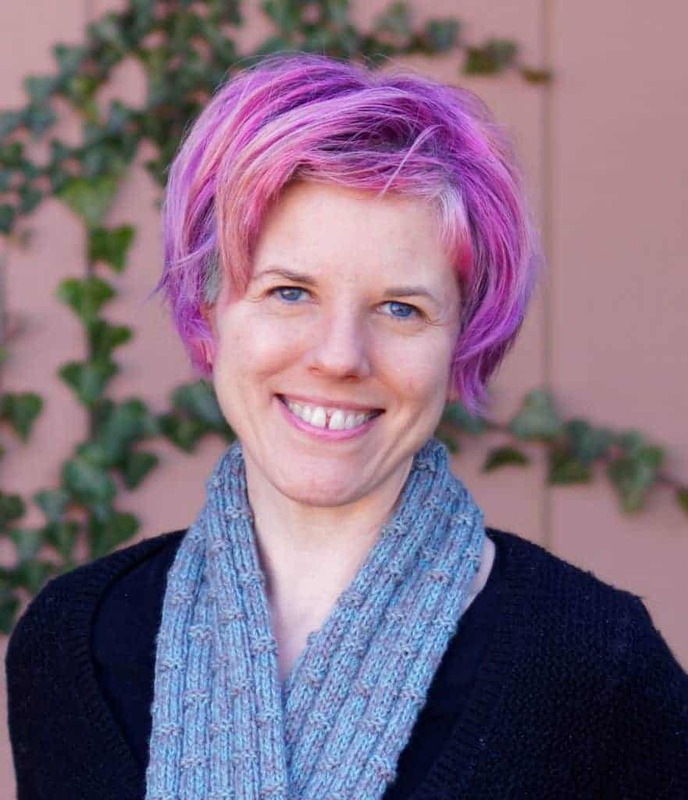 Nicole: Has your focus always been charity knitting in general, or was there a specific cause that led you into more generalized charity knitting? Bev: I learned to knit when I was 7 years old and living in England. There was a TV show there called “Blue Peter” and I saw that they needed knitted squares to make blankets for victims of a coal mining disaster in Wales if I am remembering correctly. Anyhow, my mum took me to the local knitting shop and I got some navy colored wool and knitted squares. That was the beginning of my “charity knitting”. I also charity crochet now, by the way! Fast forward to 1980 when I gave birth to my first baby, a 2-month-early premature baby boy. Scary times for a 22-year-old. Someone knitted a little green and yellow hat for my baby, and that small act gave me so much hope that he would survive! And he did. I decided right there that I would be knitting and crocheting preemie hats for the rest of my life! Nicole: How do you spend most of your time knitting? In other words, what kinds of knitting are you currently working on? Knitting for a charity(ies), knitting for relatives and/or friends, gift knitting, or even knitting for sale and/or commission? Bev: Mostly, I knit and crochet newborn (and preemie!) hats, booties, blankets, washcloths for UMC hospital in Vegas. My friends and compile mini-kits for the babies born at that county hospital. If anyone wants to help make items for the kits here is the info. Nicole: Do you have any products you sell? Any books, for instance? Bev: I have a dreaming store here where I sell dishcloths I’ve made, handmade frisbees, Amazon books, and lots more. I also have an Etsy store here. While I sell some of my original patterns on there, my best selling product is latex free rubber band grips for crochet hooks. The grips make them more comfortable to use. Have you visited Bev’s Country Cottage before? If so, what are your favorite patterns or portions of the site? Thanks to Alesia too! So happy you found me and have used the patterns to help others 🙂 Now that’s my real dream in this life. I have been knitting for charity since 1997. I found Bev’s Country Cottage online and learned what a useful resource it was for knitting and crochet patterns for charity. I have been a fan and a follower since then. For 3 years I was the leader of a group of ladies who crocheted for charity. I shared many of Bev’s patterns with the group members and we were able to make many baby hats, pairs of booties, baby bibs, etc. for a local chapter of Newborns in Need. Bev’s patterns have been invaluable! Bev has been my go to site from the very beginning of rediscovering knitting. She is wonderful, and I thank her. Bless her.